It is that time of year again, when those who have long suffered through the endless days of terrible warmth and sunshine have begun to rejoice and celebrate the return of the winter snows, and the blissful joys of backcountry skiing. The start of the season is a good time of year to talk about the all important avalanche transceivers, and the skills and tools necessary to keep us safe in these special mountain realms. There is a tremendous amount of choice on the market when it comes to transceivers. Each one of these devices come from a reputable companies who have been perfecting this art for decades, all do the job, with some minor differences that may cater to some users more than others. Add to this a pretty significant gap in the retail prices and it can get difficult to make a decision. At VPO, we chose to carry devices from Pieps (Black Diamond), Mammut, and Backcountry Access. There are others on the market, but this post will focus on these three brands. There are many things to consider when choosing a transceiver; these include range, number of antennae, and the ability to handle multiple burials, and digital vs analog technology. It is important to that all avalanche transceivers operate on the same frequency. This means that any transceiver on the market will be able to search for – or be found by – any other device, be it analog or digital. Most modern devices are digital. Digital transceivers have a smaller range than analog units, but they are far easier to use and have been proved to cut search times despite the decreased range. In a situation where life literally hinges on each passing second, search times matter. 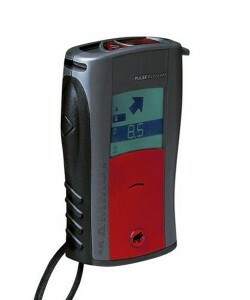 Some digital transceivers, like the Mammut Pulse Barryvox, actually have an option to be used in analog mode, thus increasing range for those more experienced users. Nearly all devices on the market today contain three antennas, sending out a multi-directional signal. Generally the strongest will be on the longitudinal x axis. The best devices will have a maximum 3-way range of around 50m. This is always limited by terrain and the varying situations you may find yourself in, so it is best to find a device with the highest range possible. The devices from Pieps, Mammut, and Backcountry Access all have comparable, industry leading antennas and ranges. (The one exception here is the very cool, tiny and lightweight Pieps micro, which has a slightly smaller 40m range). In the event of a multiple burial scenario, it is incredibly helpful to have a device with marking capabilities. This lets you mark a located burial, and move on to finding the next one, reducing confusion in those critical moments. 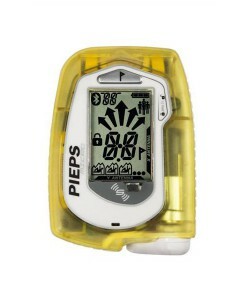 The Mammut Pulse and Element beacons, the Pieps DSP Sport and Pro, as well as the Tracker3 all have this ability. 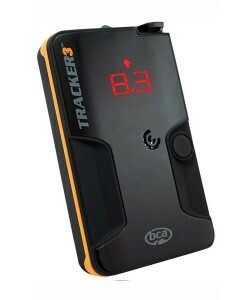 Notable is the fact that the ever-popular and budget friendly Tracker2 from backcountry access lacks this feature. Multiple burials are rare, and the device can still manage this with practice, but any additional tools help, and it is good to know what options are out there when making a purchasing decision. All of these devices are so close in terms of specs ultimately it comes down to the small details and extra features. 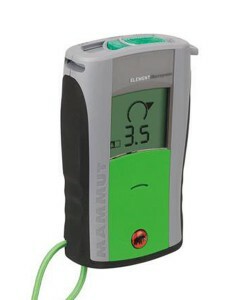 The Pulse Barryvox from Mammut is the only transceiver on the market that can detect vital signs from the victim. This means that if both the victim and the searcher have the Pulse, the searcher can detect if the victim is still breathing, and if not how long ago the breathing stopped. This can be useful in multiple burial situations, and help direct search priorities. It is important to note that this is only a useful feature if all or most members of the group have the Pulse transceiver. As mentioned earlier, the Pulse is also one of the few digital devices that can also be used in analog, providing up to 80m of range to those experienced with analog search techniques. This is a feature for the advanced and well-practiced user, but one that can prove vital when the time comes. 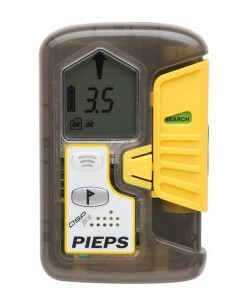 The Pieps DSP Pro comes with a built in digital Inclinometer. Slope angle is a key consideration in snow study and travel decisions, so it is a handy, though perhaps redundant addition to the toolbox. Along with the inclinometer, the DSP Pro has a frequency measurement tool, allowing it to measure the frequency of another device. These are all additional features that add to the basic functions of your transceivers, not super critical to have, but potentially enough to warrant the extra dollars for the right person. As has already been said, there is a tremendous amount of choice in a transceiver. Ultimately we strongly encourage doing a bit of research and determining what kind of backcountry travel and activities you foresee yourself engaging in, and choosing the product that best suits you. There are countless articles on line, friends to borrow a device from, and of course we always welcome you into our retail or online stores to talk to us about them in person. I know I am always happy to have an excuse to talk about skiing! Nothing really beats getting your hands on a device and seeing first hand what works best for you. Even more importantly, remember that technology does not replace knowledge. Take an avalanche safety course, and practice frequently. Always seek guidance from the pros and use the forecasts available from the Avalanche Canada website (avalanche.ca) when making decisions about if and where you wish to ski. Remember that safe decision means we get so ski again another day. Now all we need is a long winter and deep powder! 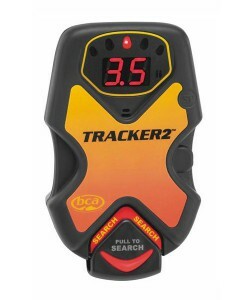 Find the Avalanche Transceivers of Mammut, Black Diamond and Backcountry Access on VPO Online. © 2017 Valhalla Pure Outfitters. All rights reserved. Photo © Geoff Holman.